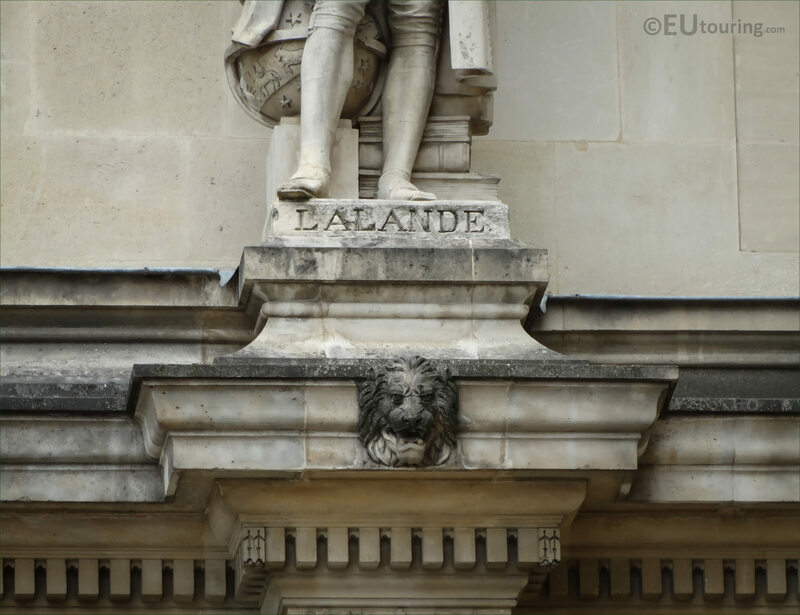 We were back at the former Palais du Louvre, which is now the famous tourist attraction of The Louvre Museum located in the 1st Arrondissement of Paris, when we took these high definition photos of a statue of Lalande, which is located on the first level of the Rotonde de Beauvais and was sculpted by Perraud. 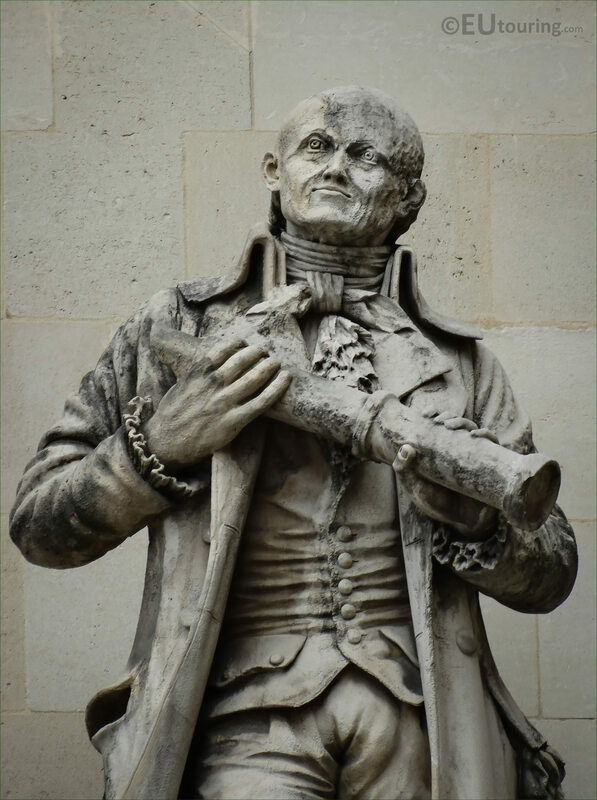 Now this stone statue of Lalande is positioned to the very far right of the Rotonde de Beauvais facade on the first level balustrade, as you are looking at the wing from the Cour Napoleon, and it was produced by Jean-Joseph Perraud who was born in April 1819, and studying at the Ecole des Beaux-Arts he became a reputable sculptor, being awarded the Legion of Honour in 1867, and died in 1876. 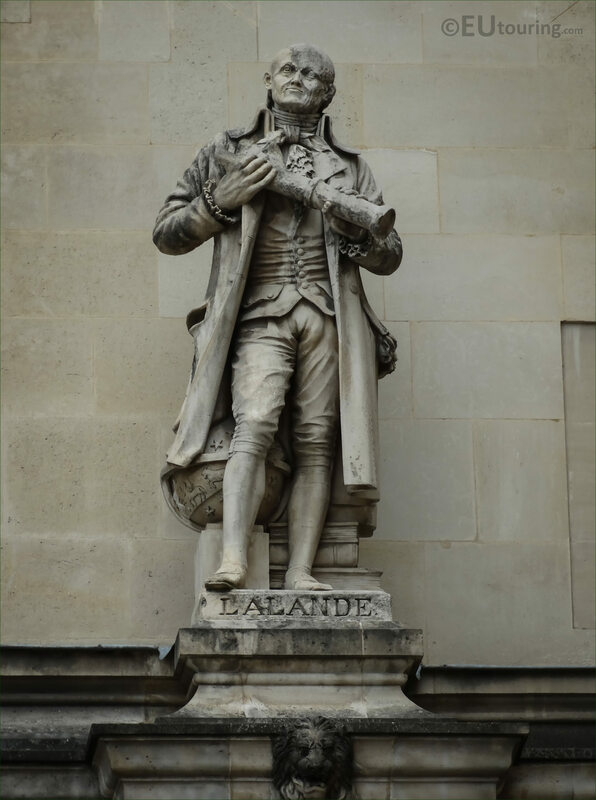 Like many of the statues on The Louvre, this was put in place in 1857 in memory of one of the people recognised in French history, and this sculpture depicts Joseph Jerome Lefrancois de Lalande who was born in the July of 1732, and although his parents sent him to Paris to study law, he became a French astronomer, lecturer and writer. And having been a pupil of the astronomer Pierre Charles Le Monnier, he was sent to Berlin for observations and with this success he was admitted to the Academy of Berlin and the French Academy of Sciences, dedicating himself to planetary theory, plus Lalande then took over the chair of astronomy in the College de France, which was a position he held for over 40 years, before he passed away in 1807.